Waddesdon holds a renowned collection of Sèvres porcelain including a 235 piece dinner and dessert service, ordered by Marie-Antoinette in 1781 and “bleu celeste”, specially designed for Louis XV. Baron Edmond de Rothschild commissioned watercolours of designs for Sèvres dinner service plates in the 1880s from Madam Zeppenfeld. 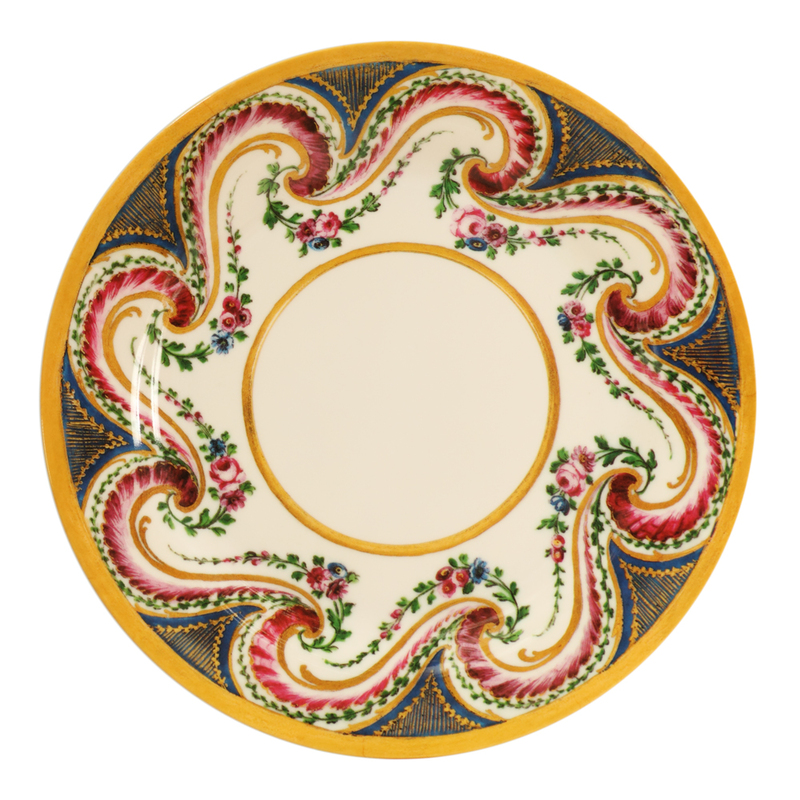 She copied the plate designs from an album preserved in the Sèvres archives, dating from the 1780’s.